The political and geostrategic differences on the Western Sahara issue opposing Algeria to Morocco are seriously worrying Western powers. These powers are concerned about the impact of the persistent territorial conflict opposing Morocco to the Polisario front, and indirectly to Algeria, on regional security. During the same week, Madrid repatriated the Spanish humanitarian volunteers from the Tindouf camps in southwest Algeria in view of the mounting insecurity in the region, and Washington warned, in a recently published report, against the spread of terrorism all over the Sahel strip. In its annual country reports on terrorism 2011made public last Tuesday, the US State Department deplored the lack of improvement in cooperation between Rabat and Algiers, saying this hampers deeper counterterrorism cooperation at the regional level. “Algeria and Morocco’s political disagreement over the Western Sahara remained an impediment to deeper counterterrorism cooperation” in the region in 2011, the report noted. 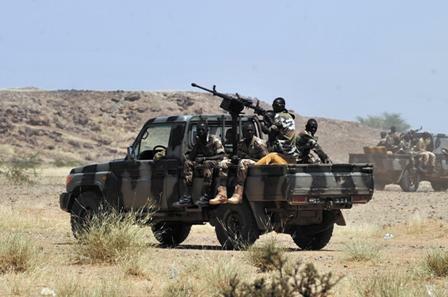 Al-Qaida in the Islamic Maghreb (AQIM) would take advantage from the volatile political situation in the Sahel region to increase the number of its members, boost up its resources and spread out its operations, according to the State Department,. The State Department is seriously worried about the destabilizing aims sought by AQIM, which managed to amass large amounts of money it derived from numerous kidnappings it conducted and ransoms it demanded, besides the fact that it exploited to its advantage the instability in Libya and Mali. While expressing appreciation for Morocco’s cooperation in counterterrorism struggle, at both the regional and international scales, the State Department points the finger at Algeria, blaming it for hindering any earnest antiterrorism cooperation in the region. Algiers, which opposes desperately any political settlement of the Sahara conflict, strives hard to exclude Morocco from any regional endeavor to struggle against the growing terrorist groups roaming in the Sahel. According to Western pundits, Abdelaziz Bouteflika’s Algeria which seeks to impose its hegemony over the whole region by any means is actually exacerbating its regional and international isolation.